Ryan says GOP has "chance at making law" following immigration "compromise"
House Speaker Paul Ryan says that Republican conference members have reached a compromise to "find a way forward" on immigration legislation without a discharge petition that would force a vote. Ryan told reporters at the House leaders' weekly press conference that they now have an "actual chance at making law and solving this problem" of immigration. He called negotiations which lasted late into Tuesday night a "product of good compromise by our members." The move comes as a possible avenue for members to finally vote on immigration legislation after previous failed attempts to provide a lasting fix to the Deferred Action for Childhood Arrivals Program (DACA). "I'm really glad that our colleagues have come together to work in a way that addresses this problem," said House Whip Steve Scalise of the negotiations. Ryan's spokeswoman AshLee Strong said in a statement Tuesday night that members of the conference "have negotiated directly and in good faith with each other for several weeks, and as a result, the House will consider two bills next week that will avert the discharge petition and resolve the border security and immigration issues." Ryan said that caucus members will be able to vote on two different bills -- including the conservative Goodlatte immigration bill and the bill negotiated by the moderate and conservative Republicans. "There are members wanted to have votes on their issues, there were members who wanted to have vote on the Goodlatte-McCaul bill, they're gonna get that. 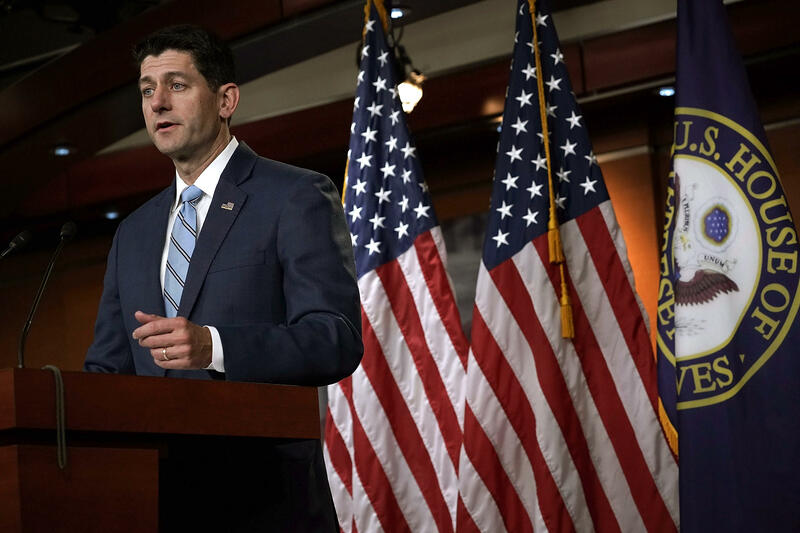 And then we now have a bill that represents a compromise that is going to be brought to the floor so members can actually vote on legislation tackling this issue and this has a chance of going into law," said Ryan. The agreement also came together as moderate Republicans appeared close to clinching the necessary support to force a vote using a discharge petition. The discharge petition ultimately received 216 signatures. Rep. Henry Cuellar, D-Texas, the lone Democrat who was withholding support, signed the petition Tuesday evening. Ryan and Republican leadership were critical of the measure, saying it would result in a presidential veto. The speaker said that Republicans have been working "hand in glove" with members of the administration to make sure the president's priorities are included in legislation voted on the floor. Meanwhile, Ryan said that President Trump successfully "disrupted the status quo" during his summit in Singapore with North Korean leader Kim Jong Un. "It's a terrible regime, they've done terrible things but it's really important we disrupted the status quo like the president has," he said. Ryan said that lawmakers are under no illusion that the steps toward complete denuclearization will be fast, saying "this is going to take time."